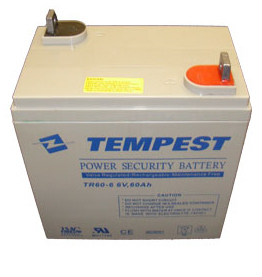 6 volt, 60 Ah battery for general purposes. Applicable in mobility products. Length 7.24", Width 4.41", Height 7.42" (Total Height 8.35"), F10 terminals (Terminal hardware included), Approx Weight 27 lbs.